This video is about little grebes in winter in Sweden, in water where there also many mallards. 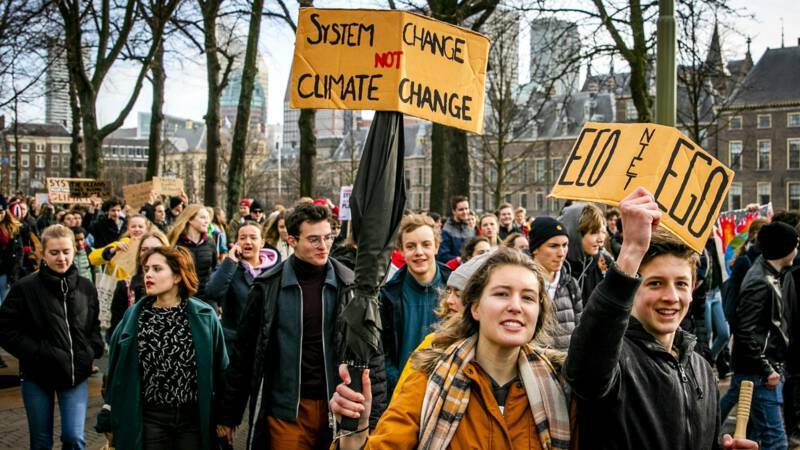 This video is about the big Dutch high school students’ pro-climate march in The Hague of 7 February 2019. This video is by a Dutch teenage vlogger who participated in the The Hague march. Dutch daily Metro, 8 December 2019, page 2, reported that the pro-climate strikes will continue; maybe again with national demonstrations in the Hague, maybe in towns all over the Netherlands. The Netherlands, worst European country in reaching 2020 climate goals: here. This 7 February 2019 video from the USA is called NBC’s Bernie Bashing Segment Sponsored By Defense Contractor. In which NBC is a corporate TV network, where a critical journalist recently left, sick of NBC’s pro-war propaganda. Bernie is Bernie Sanders, independent United States senator, and 2016, and maybe 2020, candidate for becoming the Democratic party nominee. He is an opponent of the Trump-Saudi crown prince bloody war on the people of Yemen; and sometimes criticizes the military-industrial complex. And ‘Defense Contractor‘ is an euphemism for the more accurate terms war profiteer, or merchant of death. This video is about ravens feeding in Sweden.